BACK ON THE MARKET! Don't miss out on this quaint, clean home that fits that budget! Perfectly remodeled home nestled in this quiet neighborhood only a few miles from Cherrydale and Downtown Greenville. The home has now been glamorized for a new owner. Enter in to freshly painted neutral walls throughout, gleaming fixtures. The Updated kitchen sparkles... ready for you to move in! Nice sized bedrooms with two full baths featuring updated vanities and fixtures. This home is ideal for a new family, starter or downsizing home and is absolutely ready for you to move on in! 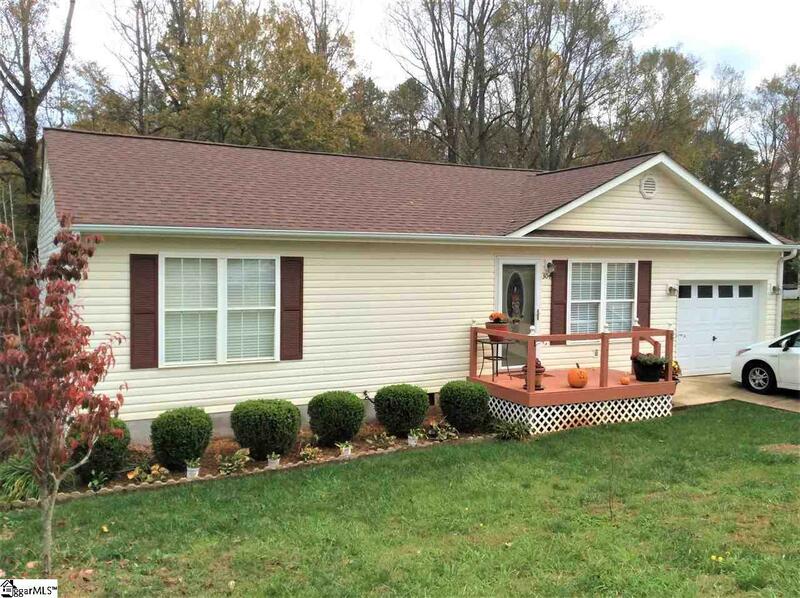 Listing provided courtesy of Mary Ross of Bhhs C Dan Joyner - Easley.